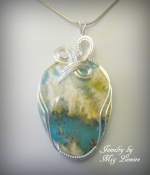 This gemstone is called Graveyard plume agate over turquoise doublet. 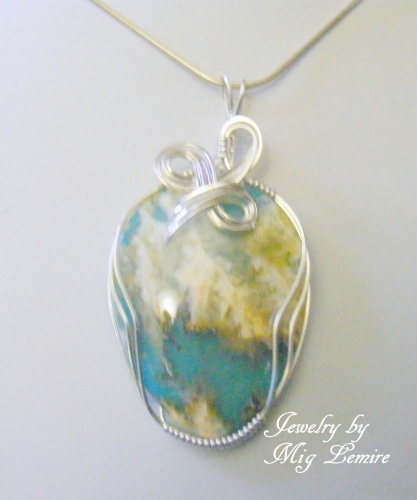 Its got the beauty of the turquoise base and yet the teasing of feathery plume agate whispering over the front of the stone. Piece is sculpted in sterling silver curls. Measures 2 1/4" from top of pendant to bottom and 1" wide. Comes with a sterling silver snake chain.